17 pounds of spotted bass. 2 fish. These were not caught on Clear Lake. I have been fishing for bass since the age of five. Many other species of fish have tempted me for short periods of time, but I always return to my first love. I have fished for bass from my birth state of Michigan to Maine to Florida and have searched all around this country looking for the best bass fishing available. Ten years ago I moved to northern California, specifically to be close to Clear Lake. I will never move again. I have found my home. Qualified for Tournament of Champions in every circuit ever fished. 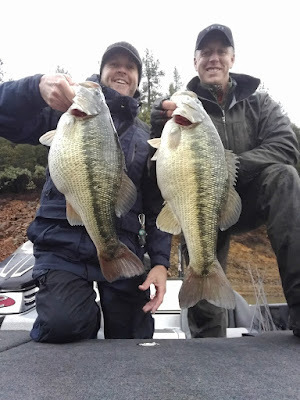 I have spent my life hunting bass exclusively, and will provide you with a fun day on the water, specifically catered to your needs. To learn how to catch bass on Clear Lake, and more importantly, how to apply what you have learned to your own home waters. To develop confidence in a new technique (swimbaits, dropshot, shaky head, or whatever you wish to learn). To go out and catch lots of fish. To bring your child along to develop a love of fishing. To catch bass with live bait (seasonal). Whether you are beginning or experienced, you will learn how and where to catch fish... not just spend your day hoping for a bite!